A manager, supervisor, or colleague who is intimately familiar with the experience on your application is required to review your Experience Record and then complete the Experience Verification Form. After they verify, they will put the completed Experience Verification Form and Experience Record in an envelope, sign his/her name over the sealed flap of the envelope, and return the envelope to you via in person or by mail. If one person is verifying multiple projects for the same company, they can fill out one form and initial or highlight on the Experience Record the projects that they are verifying. Faxed or scanned forms will not be accepted as the forms need to be placed in a sealed and signed envelope for security purposes. No substitutions will be accepted. Documentation for each course submitted for meeting the 35 hours of project management education outlined in the attached Education Record. To properly document these activities you must include a certificate, transcript, or letter of attendance from the company, Registered Education Provider (R.E.P), school, or institute that provided the training. The courses submitted must have learning objectives that are directly related to the project management profession. No substitutions will be accepted. A copy of your degree or transcript from the educational institution where your Bachelors, Masters, or PhD (or global equivalent university degree) was earned is required. Completed audit forms can be sent back to PMI via regular or postal mail to the address below. PMI will not accept faxed or e-mailed audits. 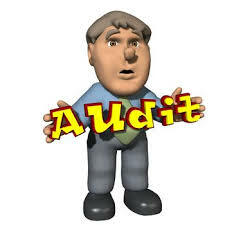 Upon receipt, the Certification Audit Team will process your audit expeditiously. If PMI requires clarification from you during the course of processing your audit materials, a representative will contact you directly.